Can you think of a time in your life when you were the busiest? Maybe it was your first year of marriage. Maybe it was after your first child was born. Maybe it was in college. Maybe it’s right now! As human beings, it seems as if we tend to stay pretty busy. Being busy is not a new concept. In the Gospel of Mark, Jesus’ disciples are in a whirlwind of following Jesus and trying to make sense of it. 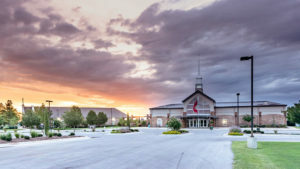 In chapter 6, they return from traveling around and sharing the Good News of Jesus. They were already exhausted, and then we read that “many were coming and going, and they had no leisure even to eat.” I’ve had a few times where I was too busy to eat, and I was not a fan! However, Jesus calls his disciples out of the busyness and to himself. He says to them, “Come away to a deserted place all by yourselves and rest a while.” (Mark 6:31) In that one statement, I think Jesus sets forth a good model for his disciples. The disciples of Jesus are to spend time with him, alone, away from all the distractions, and rest. Although Jesus said that specifically to his disciples in Mark, I believe the calling still remains for us, the disciples of Jesus living in 2019! In my own faith journey, spending time in the morning and evening alone with Jesus is the most important part of my day. There, I like to pray, often on my knees, and open up my Bible. I’ve found that reading Scripture is much more effective and impactful when it is a prayer-soaked activity. Before I read, I invite the Holy Spirit to help me in reading the texts, as one of the roles of the Holy Spirit is to “teach you everything, and remind you all that I [Jesus] said to you” (John 16:13). The Bible is extremely powerful in community as well! You get to hear from people who have different experiences and perspectives than your own, yet still dive into the same Bible! 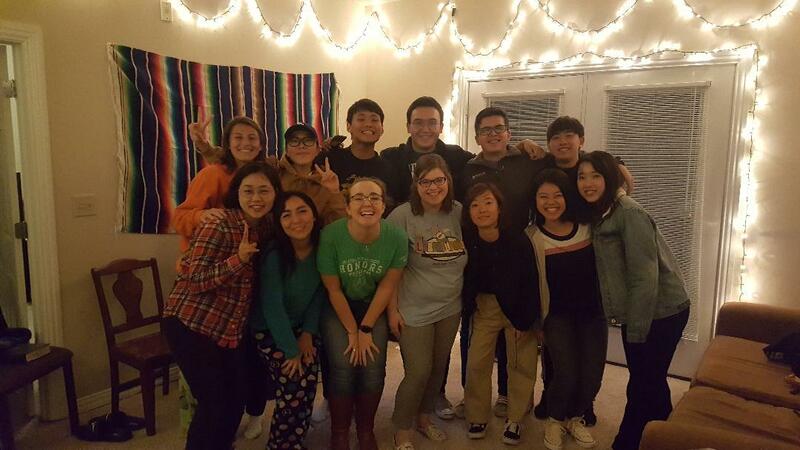 Here is a picture from a Bible study held in my apartment, where students from Mexico, Taiwan, Japan, South Korea, and the United States gathered! Making the Bible a part of my daily routine has transformed my life in so many ways. Through reading the Bible daily, my understanding of God and God’s love for me continually grows. I also learn more about the way we as Christ-followers are to live and conduct ourselves in this world. Even more, my faith is encouraged by reading about the biblical figures that “lived by faith, not by sight,” such as Abraham and Sarah, David, Daniel, Mary, and Peter. If God could use these faithful but flawed people, God can use you and me today. If you are starting to read the Bible for the first time, though, it can be overwhelming. I mean, it was written over a large period of time by many different authors (some unknown) and is composed of 66 different books! Wow! My primary suggestion would be to start small. 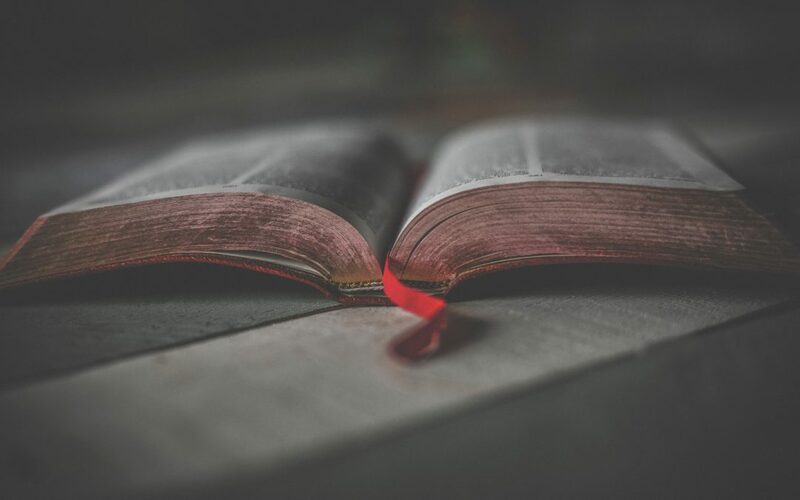 Two of my favorite sections of the Bible are the Psalms in the Old Testament and the Gospels (the books of Matthew, Mark, Luke, and John) in the New Testament. The Psalms and Gospels are a good place to start, as most of the Psalms aren’t very long, and the Gospels tell us about the life, teachings, death, and resurrection of Jesus. Of course, I or any other pastor at Acts 2 or One Church would be more than happy to help you in creating a Bible reading plan that works well for you. I believe with all of my heart that when we spend time with God and allow God to pour into our lives daily, it becomes all the more natural to pour into the lives of others. It’s hard to pour into others when you yourself are empty! As we grow in the practice of reading scripture, God uses this practice to fill our souls. May you thrive as you dive into the holy Scriptures this Lenten season, and in every season of your life.